Following a sold-out debut, Stantons Coffee and Benny Diction bring you the second instalment of Beans, Rhymes & Life, a new daytime event showcasing upcoming talent from the spoken word/rap worlds and beyond. Where: Stantons Coffee, 7 Queen Anne's place, Enfield EN1 2QB. Bye Bye Baby is more than your average tribute band. 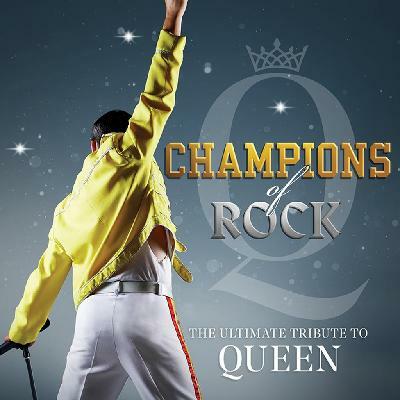 They deliver a full theatre show covering the journey of the Four Seasons from the very beginning up until the Disco era and the rock and roll hall of fame. In fact, a musical journey through the sounds of one of the most successful bands of all time. They perform a whopping 31 numbers in close 4-part harmony, with slick choreography & the recognisable falsetto this really sets the scene for a great night. Think "Sister Act meets X Factor" and you'll be just part-way to imagining what the multi-award winning UGCY competition is all about! This annual Gospel choir competition brings together the best of the best from across the UK, in an epic soul-stirring showdown, for just one night only. University Gospel Choir of the Year UK is now in its 9th year, and has never failed to impress - with 9 choirs battling it out live on stage at the 2,000 capacity Dominion Centre in London's Wood Green. Where: Dominion Centre, 9 High Road, Enfield N22 6DS. The world’s most modern football stadium! Opening game is Tottenham Hotspur vs Crystal Palace. Opening Ceremony will precede the game. Join Andrew Newman from the Forty Hill and Bulls Cross Study Group as he chats to brothers Andrew and Simon Parker Bowles who, along with their sister, were the children of the last family to have owned and lived at Forty Hall in the 1950s. Come and hear the brothers share their childhood memories of Forty Hall as they talk through treasured family photographs. Hear stories of mischief and adventure. This is a truly unique opportunity to find out what it was really like to live at Forty Hall as a child and call it your home. When: Sunday 07 Apr 2019 @ 01:00 pm. Direct from Britain’s Got Talent, Golden Buzzer magician and mind reader Marc Spelmann who amazed not only the UK but the entire world with his incredible heart felt audition dedicated to his wife and daughter. In this 2-hour show Marc will first take you behind the scenes of his globally recognised Britain’s Got Talent experience. See first-hand how his audition was created, how he conceived it all and what he chose to leave out. You’ll learn what the whole experience was like from the other side of the television screen. The second half will feature some of the most incredible mind reading and magic from Marc Spelmann’s 20-year career prior to Britain’s Got Talent and a conclusion that will absolutely astonish you. It’s not what you’ve seen, it’s what you haven’t seen that will absolutely amaze you. Celebrate Mother’s Day with The Big Choir, whose beautiful harmonies will fill the Long Gallery as they sing fabulous, uplifting and moving songs and that you can listen to and sing along to! The Big Choir is a fundraising community choir, with a membership of over 100 who love of sing, laugh, socialise and contribute to such a worthy cause. When: Sunday 31 March 2019 @ 2pm. Do you love seeing the beautiful first signs of spring Ranunculus, hyacinths, tulips, daffodils and many more? This creative workshop for Mother’s Day will focus on using seasonal materials to create a lush arrangement that you can keep or give to that one special person, your mother. Each participant will go home with their floral arrangement. When: Saturday 30 March, 9am - 12pm. Click here or on the picture for live updates. When: Thursday, 28 March 2019 @ 7.45pm. Where: Millfield Theatre, Silver Street, Edmonton, N18 1PJ. The Bob Villains… A great tribute to Bob Dylan, as quirky and unpredictable as The Man himself! From acoustic folky days through to That Judas Moment and on to full-on electric rock… No one does Dylan like the Villains! The four-piece band covers everything from Dylan’s early acoustic days to full-on electric rock. You don't have to like Dylan to enjoy the Villains... the band's full on electric live show draws in rock fans of all tastes - even Dylan doubters! When: Saturday 30 March 2019 @ 9:00pm. Where: The Picture Palace, Howard Hall, Lincoln Road, Ponders End EN3 4AQ. The new 62,000 capacity Hotspur Stadium has finally gone live with the first test match Sunday 24 March: Tottenham Hotspur v Southampton (U18 Premier League). Happily, Hotspur’s young won the game 3:1. You can try Hotspur’s new stadium at test event match two: Tottenham Hotspur Legends v Inter Forever. When: Saturday 30 March @ 5.30pm. Where: Tottenham Hotspur Stadium, Tottenham, London N17. Bulgarian Folk Tradition and Culture are happy to invite you to their annual Spring Festival, packed with music, songs, dances and traditional food tasting of this lovely country. Join in and get the spirit of Bulgaria - famous with ancient culture and colourful customs. More than 20 folklore dance groups, singers and musicians will perform for their London and Enfield friends. When: Saturday 23 March 2019 @ 2pm. Paying tribute to these legends of rock are VOODOO ROOM! When: Friday 22 March 2019 @ 7:45pm. Kurt Barling spent nearly 30 years in BBC Journalism searching for the individual stories which reflect our changing world. After 9/11 2001 he turned his attention to London and his work as the BBC’s Special Correspondent in the Capital gave him fascinating insights into the transformation of the lives of the capital’s communities. 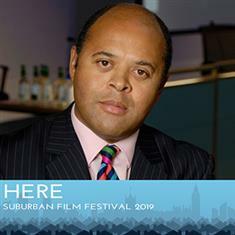 In this unique event for Talkies’ HERE FILM FESTIVAL, Kurt will show news and documentary footage to develop a narrative of a city undergoing change. 10 lives that reflect the city he was raised in. When: Thursday 21 March 2019 @ 7:45 PM. A guided walk revealing little known gems about the historical importance of the park. Find out about the history of the house and the park as you are guided around by The Broomfield House Trust. Hear facts about the park you may not have known about before and see how the park has changed over time. When: 20 March 2019 @ 1:30pm. Where: Broomfield Park, at the corner of Powys Land and Aldermans Hill, Palmers Green, N13 4HE. Some years ago, Comedian Lucy Frederick appeared in a reality TV show in which she had to get naked... like, completely naked. No socks or anything. And while that might sound alarming, she's since discovered that actually, there's a far more terrifying way to get your bits and bobs out for other people. And you don't even have to take your coat off. This is not your ordinary science show – it comes jam packed with fun, laughter and plenty of amazing science and history which includes a fully operational hovercraft, massive cannons with lots of bangs, a journey through the different stages of the scientific method whilst trying to capture a shadow and look out for Darth Vader playing with plasma! Ministry of Science Live is a fully engaging interactive experience that explores energy and engineering using brilliantly designed demonstrations and historical references as a narrative. When: Tuesday 19th March @ 6:30pm. Join three-time Olivier award winner Maria Friedman for her acclaimed one-woman show, Maria sings Lenny and Steve, exploring the work of Leonard Bernstein and Stephen Sondheim, comparing and contrasting songs from their separate catalogues, as well as their joint masterpiece West Side Story. All proceeds from this fundraising concert will go towards supporting the theatre’s work. When: Sunday, 17 March @ 7.30pm. 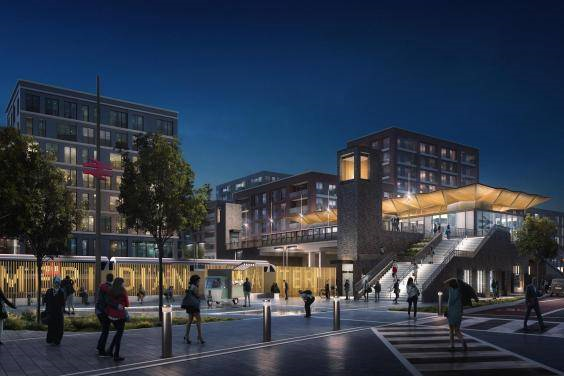 New homes and new transport links for north London's new waterside hub. The regeneration of Meridian Water will include a train station providing fast links to Stratford and Liverpool Street, which will open in May, 10,000 new homes and a live/work project for makers and creators. Meridian Water will make its biggest mark in June with the Field Day festival, headlined by singer-songwriter Jorja Smith. About 60,000 people are expected to flock to the 10-acre former gasworks site close to Tottenham Marshes during the two- day event. When: Saturday 16 March @ 7:45pm. A five times winner of Best Guitarist in the British Jazz Awards and recipient of a lifetime achievement award in 2015, Jim has performed with US jazz stars including Mose Allison, Jimmy Smith, Jimmy Witherspoon, Percy Sledge and Teddy Edwards. Jim’s highly original guitar style incorporates blues and soul as well as jazz. A self-styled ghetto kid from Glasgow, Jim Mullen says his family had no money for music education, so he taught himself. There was nobody to fix my mistakes, he recalls, so basically I’m left-handed playing right-handed. Also [like his hero Wes Montgomery] I play with my thumb. “Absolutely Fantastic” Clare Teal BBC Radio 2. When: Friday 15 March 2019 @ 7:45pm. When: Thursday 14 March @ 7:45pm. Four-piece band covering the Who, the Jam, Small Faces, Paul Weller, Stones, Oasis, the Clash, and many more! When: Saturday 16 March @ 9.00pm. Where: The Red Lion, 375 Hertford Road, Enfield, London EN3 5PP. Music lovers are in for a treat this weekend when a Foo Fighters tribute band comes to the Black Barn. The Foo Fighterz are delivering a true representation of the power and energy you come to expect from the Foo Fighters themselves. The five-piece band have travelled the UK extensively playing at several iconic venues, not least the Isle of Wight festival where they performed last year before a 3,500-capacity audience. When: Saturday, March 9 @ 7pm. Traditional Bulgarian dances with cultural music. The exceptional heart-warming voices of the MFG “Ograzhdenska chetvorka” will touch your souls with the sound of traditional Bulgarian folklore songs. Faith, The George Michael Legacy returns with a brand and new production. A stunning celebration remembering one of the greatest singer-songwriters of all time. This energetic, vibrant musical journey brings to life 35 years of hits from George’s glittering career. Enfield Town Centre is to receive a cash-injection of £6 million to help transform its look and feel, rejuvenate the local economy and create a more welcoming environment. Enfield Council made a successful bid to the Mayor of London/Transport for London’s Liveable Neighbourhoods fund which will go towards the large-scale regeneration of the town. Rejuvenating the local economy will come hand-in-hand with making Enfield Town a cleaner and greener place to visit by reducing pollution, creating new and improved public spaces, making safer and more accessible pedestrian areas and linking to Enfield’s existing cycle network. Enfield Town is set to be transformed into a hub that people will want to visit, work and live in. Scrivens Opticians & Hearing Care will offer “cracking good reads” when it holds a charity book and bake sale to raise awareness of Alzheimer’s disease. Staff have donated books from home and collected titles from family and friends to sell in aid of Alzheimer’s Society. Scrivens is supporting Alzheimer’s Society for a fifth successive year because of a link between uncorrected hearing loss and dementia, including Alzheimer’s. Where: Scrivens Opticians & Hearing Care, 3 Palace Gardens Shopping Centre, Enfield EN2 6SN. Click here for a link to Scrivens Opticians. Alfred Hitchcock’s classic spy thriller is hilariously re-created on stage in this brilliant version of the smash hit West End show. This ridiculously funny comedy follows the incredible adventures of our dashing hero Richard Hannay, with his stiff upper lip and his pencil moustache, as he encounters all kinds of dastardly deeds, secret agents and fabulously beautiful women. When: Tuesday 05 - Saturday 09 March 2019 @ 7.45pm (also 2.30pm matinee on Thursday and Saturday). A regular arts class by local artist Lisa Howes. 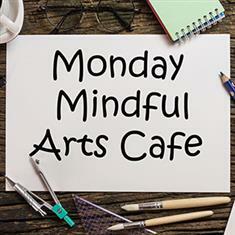 Amazing easy to follow and therapeutic art activities allowing you to spend an hour immersed in your thoughts and the process of making in a relaxed and non-threatening environment. Where: the café foyer with Art Stop, Dugdale Centre, 39 London Road, Enfield, EN2 6DS. On 3rd February 1959, Rock ’n’ Roll – and the world – lost its brightest star. To commemorate Buddy’s anniversary and to celebrate the joy he has brought millions of people worldwide for over 60 years, the country’s first and best-loved Buddy Holly act, Buddy Holly and The Cricketers, plays a very special show in venues all over the UK. Buddy Holly and The Cricketers presents Buddy in the style of show we feel he would perform today. Authentic arrangements, driving rhythms, energetic performances and wonderful musicianship, all delivered with charm and humour. 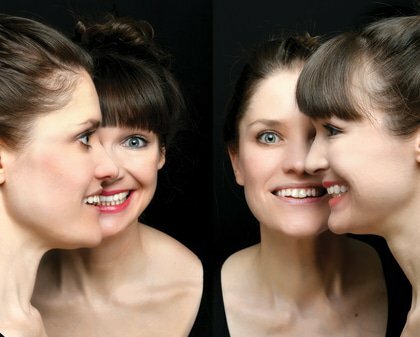 Stars of BBC Radio 4’s ‘The Croft & Pearce Show’ and ‘Sketchorama’, recipients of the official Edinburgh Fringe ‘Total Sell-Out Show’ laurel and WhatsOnLondon Comedy Award nominees 2017. This BBC 'Next Big Thing' Act have sold out theatres in London, New York and around the UK. Don’t miss their brand-new show! With their rich harmonies, an unbelievable ability to replicate instruments and a stage presence that can be felt in every seat of the house, Naturally 7, the first Vocal-Play group ever, are amazing, charming fans where ever they perform... and guaranteed no instruments – just voices. 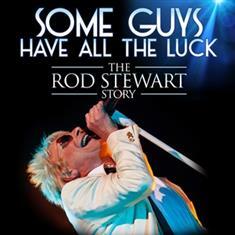 Click here or on the picture for details – including how to book your tickets. Enfield Council is looking to bring a public dockless bike scheme back to the borough. Beryl, the dockless bike company, is running a survey to find out the most convenient ways for riders to pay to use a bike. Click here or on the picture to take the survey. Tell the Council about your ideas for ‘Quick Win’ cycling and walking projects. You can attend one of two workshops about ideas for small projects that could make your walk or bike ride easier and safer. As part of the wider measures to encourage more walking and cycling, Enfield Council have invited Sustrans to assist with running two workshops. At these events The Council will ask stakeholders to help identify potential small-scale projects that could be delivered across the Borough, as funding is identified. Come Mek We Larf brings to you the best in African Caribbean comedians Up Close & Personal, with a series of new shows called COMEDY INTIMATES. This show is a Special Edition & seating is limited to keep it INTIMATE so advance booking is a must. Remember... Come Mek We Larf - where the laughter is always guaranteed! 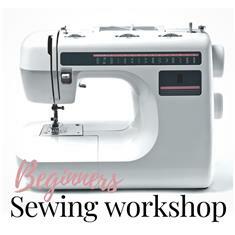 In this comprehensive four-hour class, you'll become sewing machine-savvy and leave with a gorgeous sewn cushion, plus enough knowledge and confidence to start making your own projects at home! Once again, we are celebrating one of our longstanding, loyal tenants who have stayed 1,000 days in one of our shared houses; many congratulations Trudie! We are very happy to provide her with a bottle of fine French Champagne to celebrate the day. And, even if Trudie and her housemates live together in a wonderful shared house – the champagne is not for sharing! Edmonton Green Shopping Centre has new owners. Meet them and tell them about your experience and your suggestions for improvements of the shopping centre – and be in for a chance to win a £100 shopping voucher. When: Tuesday 19 February, 12pm-4pm; Thursday 21 February, 2pm-6pm; Saturday 23 February, 11am-3pm; and Monday 25 February, 12pm-4pm. When: Saturday 16 February @ 7:45pm. Shaw is twice winner of “Best Jazz Vocalist” at the BBC Jazz Awards and has amassed several highly acclaimed albums. He is a renowned performer both in the UK and the US and has been cited, along with Mark Murphy and Kurt Elling, as one of the world's finest male jazz vocalists. When: Friday 15 February 2019 @ 7:45pm. Where: Ziggy’s World Jazz Club, 39 London Road. Enfield. EN2 6DS. A new exhibition of ink drawings by Mr Nicky Yianni, an Enfield based artist. 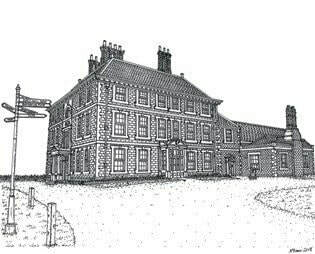 ​Mr Yianni is inspired by his local architecture and began drawing local historic buildings including Forty Hall. He first drew Forty Hall about two and half years ago and since then has been drawing it from different angles discovering and capturing the finer details of the beautiful building. When: Saturday 09 February - Sunday 31 March, normal opening hours. Where: Forty Hall, Forty Hill, Enfield, EN2 9HA. The Opera Boys deliver a fabulous show full of music and laughter combining 4 big voices with 4 big personalities! The show also features brand new classical arrangements of modern-day pop hits, all performed in The Opera Boys inimitable style. 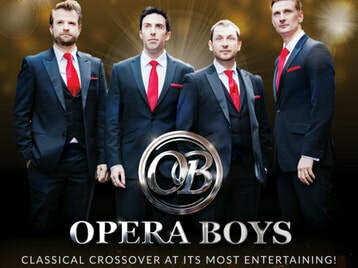 With beautiful vocal arrangements, spectacular close part harmony and a great line in humour, The Opera Boys have been delighting audiences all over the world with their unique show combining beautiful, powerful and emotional music with funny, engaging and light-hearted entertainment. When: Friday 15 February 2019 @ 7.45pm. Janet Kay and Carroll Thompson return to the Millfield Theatre ‘Live In Concert’ on Valentines Day, for an evening of Lovers Rock Magic! When: Thursday 14 February 2019 @ 7.45pm. This movie charts the rise to stardom of a female comedienne through the 1970’s and 1980’s. It is set against the backdrop of working men’s clubs and the stand-up comedy circuit of the North of England. When: Saturday 16 February 2019 @ 7:30pm. Where: Waterhouse Hall Theatre, Compton Rd, London N21 3JR. Immerse yourself in vocal bliss, with the smooth harmonies and classic songs of group that will never be forgotten. In an all new production – The Beach Boys Smile (aka BBS) brings together five young and incredibly talented musicians. 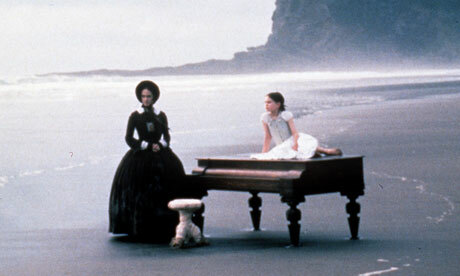 Jane Campion’s powerful film, first released 25 years ago, is set in mid-19th century New Zealand, and combines elements of Gothic romance and Victorian melodrama with a startlingly original take on a traditional love story. The Piano is the story of a woman who will not speak, a man who cannot listen and a wilful and mischievous little girl. Ada, a 30ish woman who’s an elective mute, arrives on a bleak New Zealand coast with her little girl, Flora, her luggage and a piano, to meet a local bachelor who’s agreed to marry her. If singing and dancing is your thing then Don’t Stop Believin’, the search for the UK's best Glee Choir is well underway. After a tough selection process, and a number of boot camps, tonight sees our North London Regional Final taking place. The best groups will go forward to the Grand Final at the London Palladium where they’ll battle it out to be crowned the Jack Petchey Glee Club Challenge Champions and win a share of £5,000 worth of prizes! If you want to know more about GleeClubUK choirs then click here. The second half will feature some of the most incredible mind reading and magic from Marc Spelmann’s 20-year career prior to Britain’s Got Talent and a conclusion that will absolutely astonish you. It’s not what you’ve seen, it’s what you haven’t seen that will absolutely amaze you. 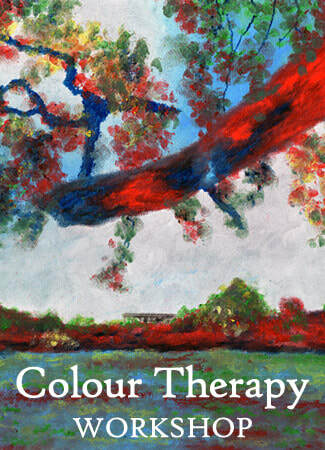 Join local artist Patrick Samuel to paint using colourful pastels the way he does as part of his own art therapy. Exploring winter colours using a scene from Broomfield Park that looks out toward Alexander Palace. Finding the tones that help us connect our feelings about this time of year to what’s going on in nature. When: Saturday January 26, 1pm – 3pm. 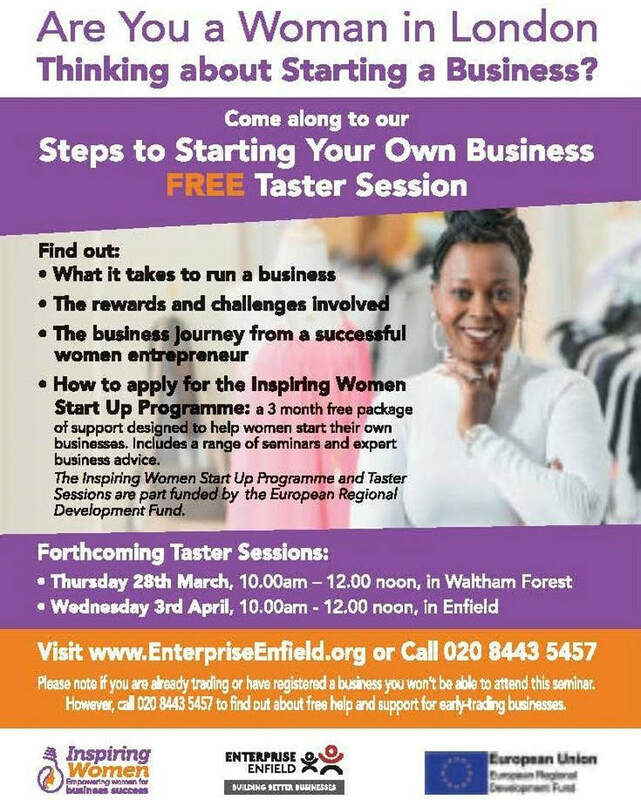 Where: Museum of Enfield, Dugdale Centre, 39 London Road, Enfield, EN2 6DS. Throughout the centuries there have been children at Forty Hall; wealthy children have lived here, and poorer children have worked here. In more recent years, children have come to enjoy events and activities, explore the house and play in the park. When: Saturday 19 January – Sunday 31 March, open during Hall opening times. London Boroughs have been named and shamed for their many inactive residents. More people in Barnet than any other London borough do less than 30 minutes of moderate exercise a week, with 92,400 failing to reach the half hour mark according to a Sport England study. Enfield made the fourth spot, with 73,800 inactive residents; nearly one in five in Enfield are inactive. Click here or on the picture to see sports activities offered by Active Enfield – new sessions starting this week. A hospital radio station has relocated and purchased new studio equipment after receiving a £1000 grant from Tesco. Royal Free Radio – previously known as Radio Enfield – was established in 1970 by a group of school friends who were inspired by the pirate radio stations of the 1960s. The friends started broadcasting to patients in Chase Farm Hospital in Enfield one evening a week. Today, the station broadcasts 24 hours a day, seven days a week and reaches patients in Royal Free Hospital in Hampstead and North Middlesex University Hospital.